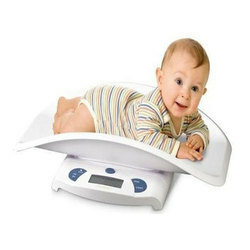 The digital Baby Weighing Scale is manufactured by us, keeping in mind the maximum comfort of babies. 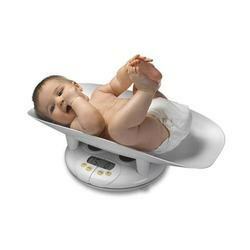 For ensuring this, the baby scale is designed in a way that babies can be weighed with the blanket on if desired. Further, these scales are customized as per the various requirements of our clients. Ideal for maternity homes, Pediatricians & NICU. We are leading manufacturers and suppliers of Baby Weighing Scale in Coimbatore, Chennai, Tamilnadu, Erode, Salem, Madurai, Kerala, India, Tuticorin, Pondicherry, Cochin, Trichy, Karnataka. The digital Pediatric Weighing Scale is manufactured by us, keeping in mind the maximum comfort of babies. Looking for Baby Weighing Scale ?